A few miscellaneous photos from Denver. 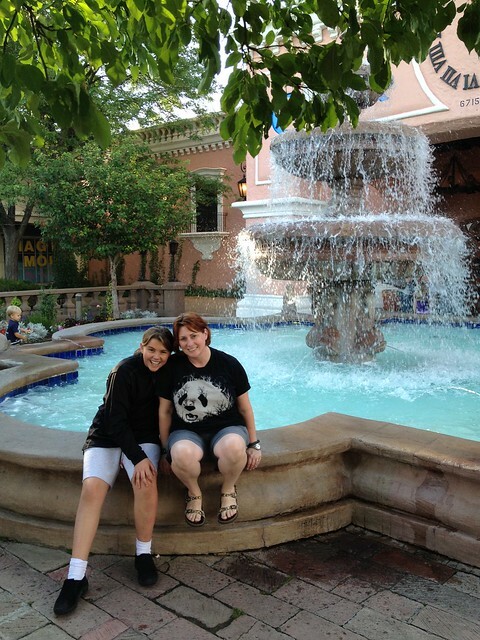 Here's Jen and Eryn at Casa Bonita. I think Eryn had more fun when she was littler, but she really enjoyed going back to relive the experience we had with Grandma Madeline and my parents. 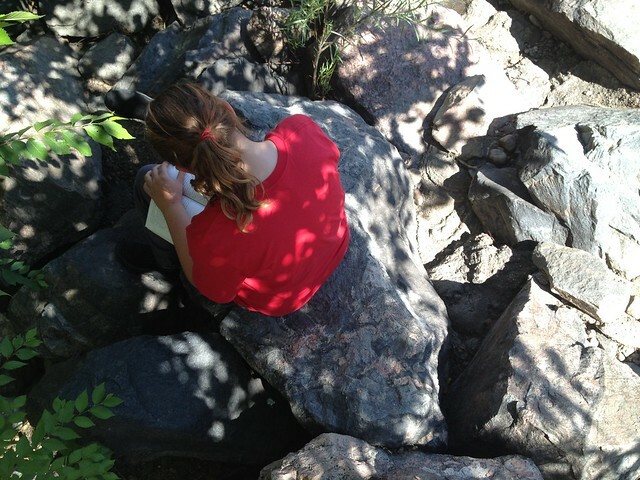 And here she is near Chatfield, reading a book in the park near a small rocky spillway. One of the things Eryn really liked four years ago was her ray gun that made lots of noise. When presented with the opportunity to replace it, she upsized.